On this week's edition of Hit me with your best shot, we celebrate the great Gregory Peck for the centennial of his birth. 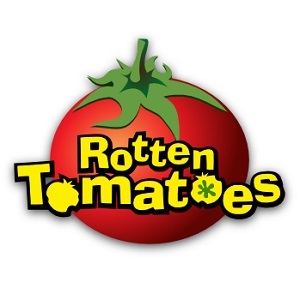 We were given the option of writing about either of two most famous films ("To Kill a Mockingbird" and "Roman Holiday"), which just happen to be two of my all-time faves. As such, I couldn't pass up this excuse to re-watch them both. 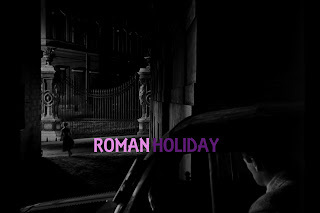 Earlier I wrote up "To Kill a Mockingbird", and now I look at William Wyler's delightful romantic comedy "Roman Holiday". 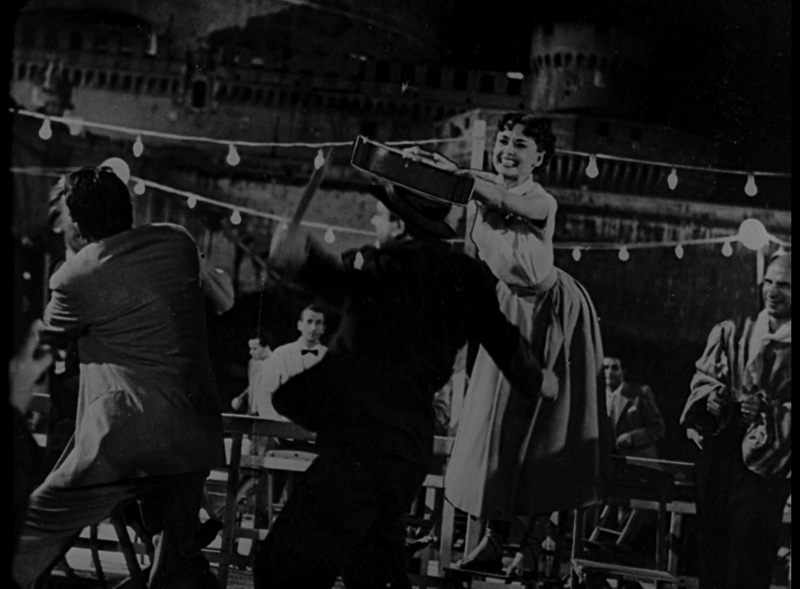 When "Roman Holiday" was released in 1953, its star Audrey Hepburn was still a fresh face in the industry. 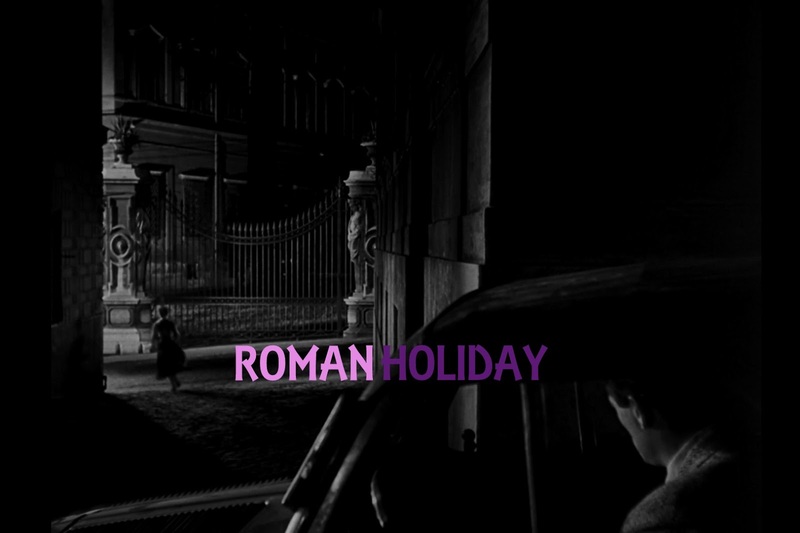 The opening credits emphasized this fact by stating "Introducing Audrey Hepburn". And what an introduction it was! Hepburn gives an absolutely winsome performance as Princess Ann, a role that resulted in her first and only Oscar for Best Actress. And for me, it was a fitting win, as it captured one of the best qualities of her acting style - her knack for comedy. At the time, Hepburn hadn't yet established herself as a style icon, but her work here already projects the natural elegance and grace she became known for. This laid the foundation for a comedic style geared towards subverting these qualities, most blatantly seen later on in her career with "My Fair Lady". But in opinion, this role that showed it best. She's instantly believable as a princess and yet, just as comfortable as the girl next door. You can't take your eyes off her as she takes on the town with Gregory Peck and Eddie Albert. As such, my pick for best shot puts her in the spotlight in all her glory. 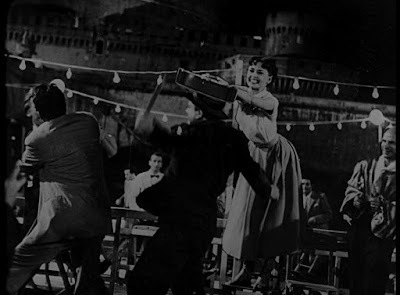 It's a shot, within a shot, within a shot that captures the regal beauty and effortless screwball fun of Hepburn's performance and the film in general.